Jim Marshall is widely regarded as the 911 industry's foremost expert on 911 mental health. Building on 25 years of clinical practice, his unique courses, presentations, and writing, all foster psychological well-being of telecommunicators and equip them for optimal response to high risk callers. As founding chair and CEO of the non-profit 911 Wellness Foundation, he worked to advance collaboration among all 911 stakeholders for telecommunicator health. Jim served as co-chair of the NENA working group that produced the nation's only Standard on Acute/Traumatic and Chronic Stress Management. His book, The Resilient 911 Professional, is available on Amazon and through the 911 Training Institute website. A: I’ve had so many great private conversations with EMS Professionals over the years. They’ve been incredibly grateful to learn what they can do to protect their resilience, they’ve just had very few opportunities gain this knowledge and equipping. The chance to join with so many of our EMS Pros and support their personal resilience and well-being is a tremendous opportunity and a big deal to me. Q: Tell us a little bit about your background in mental health and why you specifically focus on first responders? A: I served for 25 years in the trenches as a trauma therapist. Meanwhile my sister was a 9-1-1 dispatcher. We realized we were serving the same populations in distress and that it took a toll on us. I did my first sit-along with her in 1985. She was a pioneer who started the dispatch academy in Michigan. She pulled me into the industry as a subject matter expert in traumatic stress to build resilience training and I began training in 2005. Dispatchers and their leaders adopted me as part of the 9-1-1 family; and there’s been no turning back. This work is personal to me. They, like our EMS Pros are a high-value, high risk population in need of training, advocacy and education to foster mental health in the industry. That’s the mission of 911 Training Institute. Q: Your team is hosting a preconference (Resilience Training) and you’ll be speaking on our PTSD panel. Who should attend the preconference training, and why? A: It’s tremendously important that both EMS leaders and their frontliners make a real attempt to join our Pre-conference course, Survive & Thrive in the EMS Profession. Here’s why: EMS Pros are what I call “Extraordinary Care Givers” (ECG). That’s not a phony term. They, including 9-1-1 dispatchers, law enforcement officers, and trauma therapists like me are care givers whose work is way out of the ordinary. How? ECG’s are exposed to far more human suffering than the average citizen. To protect their ability to recover, their performance and their quality of life, they’ve got to have extraordinary equipping for resilience. That’s our mission in this course—and we actually have a lot of fun achieving it together. I don’t’ believe in “death by PowerPoint™.” We have incredible conversations sharing everyone’s expertise and life experiences. 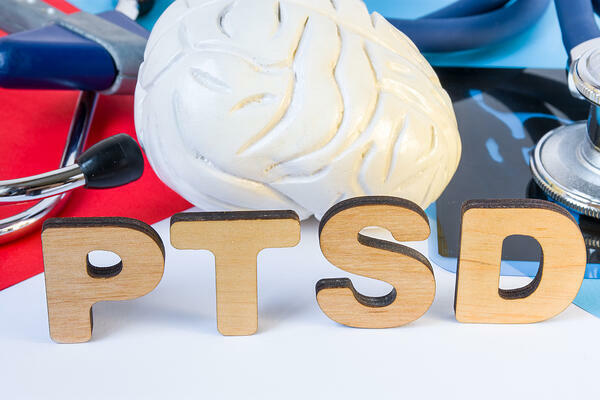 Q: Is there a rise in PTSD in the emergency medical field or a rise in awareness? A: Very likely both. But we have to be careful with statistics, especially from preliminary studies. It is hard to compare rates from one study to the next over time because research approaches may vary qualitatively, and not enough rigorous research has been done to date. One study estimates a PTSD rate of 20% among EMS Pros. Compare that to the rate for the general public of 3.5%. This data just supports the high level of concern among our EMS community. Q: What do you think finally catapulted PTSD into the forefront of EMS? A: There are probably a few big factors driving this upsurge of concern. Frontline EMS Pros and managers have suffered losses of their peers to suicide; they have seen the toll of unaddressed PTSD in struggles with addiction, depression, compassion fatigue, and damaged family relationships. And leaders in the industry, joined by associations like NEMSMA, have created spaces at conferences and continuing education to begin talking about the problems. For example, a group of EMS Pros participating in Jay Fitch’s & Ambulance Service Manager’s (AMS) certification course used the opportunity to study EMS suicide risk, resulting in over 4,000 responses from which we learned much more about the risks. Similar opportunities in the 9-1-1 industry during the last decade have opened eyes fostering a parallel upsurge of awareness. Q: Everyone’s experiences are different, and the way people handle and process them is different. What do you find similar in people who suffer from PTSD? A: All of us who struggle with serious traumatic stress impacts shared the same battle even if the events that we experienced were totally different: we desire to live fully in the Now, with the ability to plan and look toward a great Future, but we’ve still got one foot stuck in the muck and distress of the Past. We spend a lot of our time and energy trying to numb and avoid it, to get re-grounded in the Now, but we keep getting triggered by reminders, and the cycle repeats. Q: What is the most common misconception about PTSD? A: The most common one is that most people don’t realize you can heal PTSD. That’s why this message about relieving PTSD is so important. The second is that those who “get” PTSD must somehow be weaker or flawed in some way. Responders need to remember that you don’t get PTSD from character flaws. You incur PTSI—Post Traumatic Stress Injury! We wouldn’t tell a firefighter whose leg was crushed under a fallen structure that his femur broke because it was weak, or that he shouldn’t get surgery and rehab. PTSI is no different. It’s time to set fire to the stigmas that have trapped our first responders, sweep away the ashes, and build a new mental health foundation and culture. Jim Marshall will be speaking at ZOLL Summit 2019. Reserve your spot early!